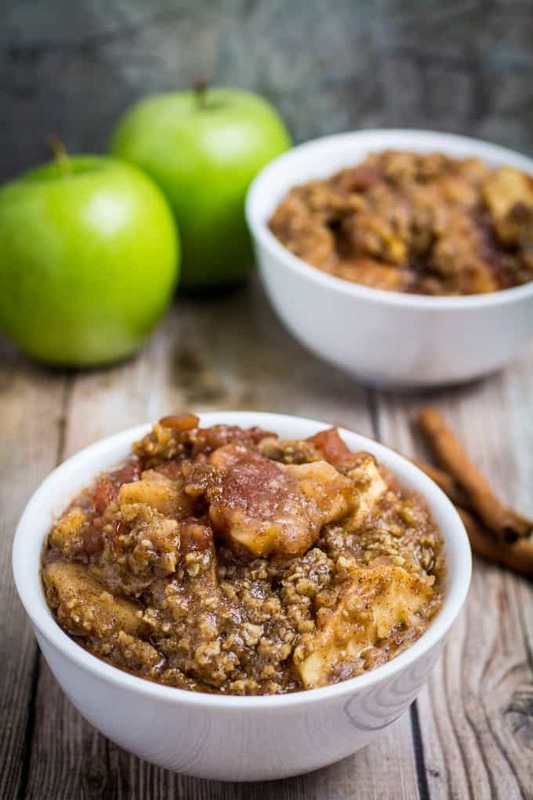 Slow Cooker Apple Crisp – Gluten Free! Sweet apples topped with crumbly, buttery oats and slow cooked with cinnamon and brown sugar. Serve warm and top with vanilla ice cream. This Slow Cooker Apple Crisp recipe is so incredibly easy to make, you’ll never want to make it in the oven again! Let’s get this out in the open right now. You can, and should, make dessert in your slow cooker. That’s right. 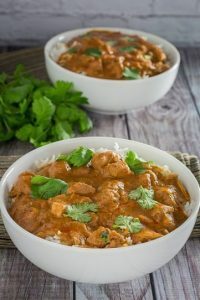 Slow cookers are not just for making dinner anymore. But why should we pull out the slow cooker when you still have to take the time to slice the apples? Wouldn’t it make more sense to just throw it in the oven? That’s an easy one. Not only will it free up your oven when you’re making dinner (ahem- Thanksgiving turkey), it also gives you the freedom to not have to watch the oven while it’s cooking. Go shopping, take a nap, or whatever else you want to do in your free time. Just don’t worry about the apple crisp! All you have to do is set it, then forget it. You’ll have warm, sweet Slow Cooker Apple Crisp before you know it. If you’ve never made apple crisp before, there is definitely no time like the present. 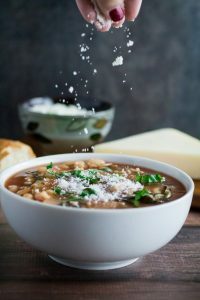 It’s sweet, it’s spiced, and can be served satisfying-ly warm with a scoop of vanilla ice cream or whipped cream on top. 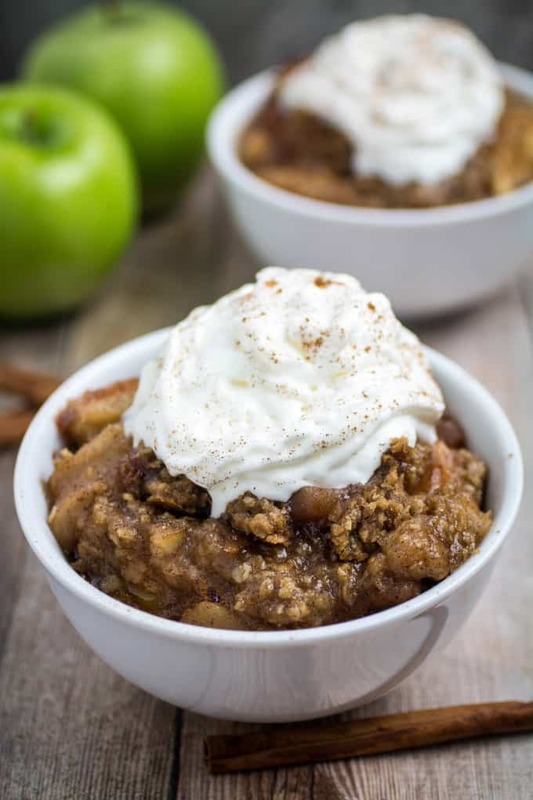 This is seriously one of my favorite desserts, and I think you’ll agree with me after tasting this slow cooker apple crisp recipe! As always, I used Certified Gluten Free oats, and gluten free all-purpose flour for this recipe. You can also use regular oats and flour and follow this recipe as it is written. For this one, it’s a 1-to-1 ratio. Can you see the cinnamon on those apple slices? It’s pretty much the perfect combination. And while we’re on the topic of perfect combinations, there’s the oats with brown sugar. 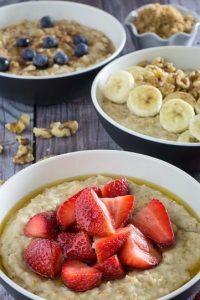 Don’t forget the oats with brown sugar! And here comes the toppings! Are you ready for your closeup, Apple Crisp? It really doesn’t get much better than this. If you’re looking for Thanksgiving dessert recipes, I highly recommend adding this to your list. 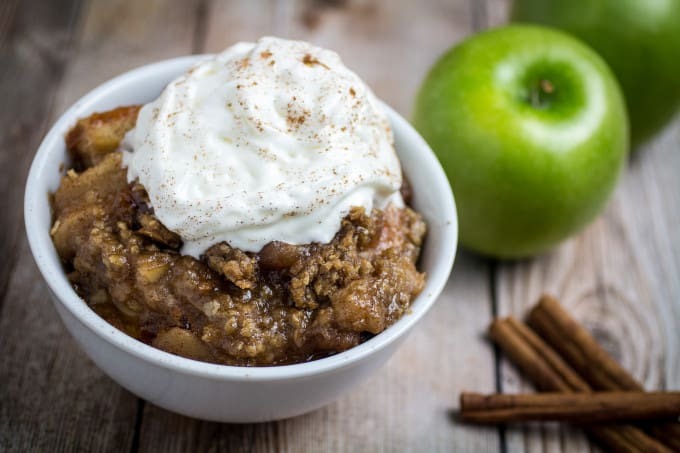 I will definitely be making this slow cooker apple crisp this year. I am anticipating my oven being over-filled with turkey, dressing (stuffing outside of the bird), biscuits, sweet potatoes, and other various side dishes. There’s just not enough room for extra, and the slow cooker is the perfect solution. I’m also considering taking this apple crisp recipe on the road. It only takes three hours to cook, which is just about perfect timing for a New Years party I’ll be attending at the end of this year. I’ll simply set the recipe up before heading over, plug the slow cooker in when I get there and it should be done just in time for dessert. So simple, and I know everyone’s going to love it! 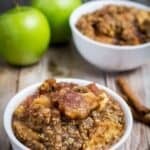 Slow Cooker Apple Crisp - Gluten Free! 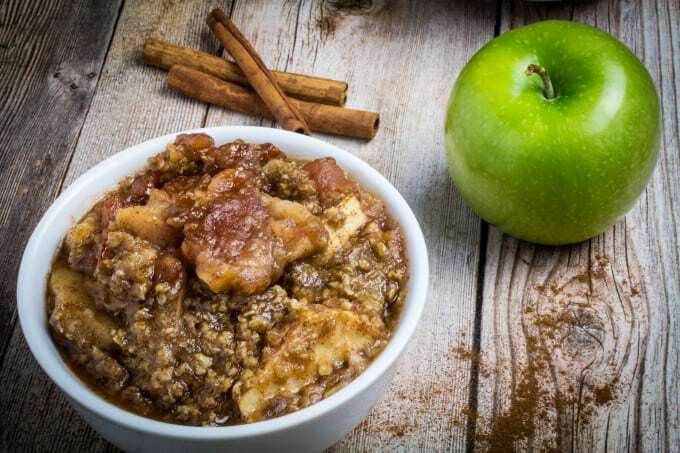 Sweet apples topped with crumbly, buttery oats and slow cooked with cinnamon and brown sugar. Serve warm and top with vanilla ice cream. 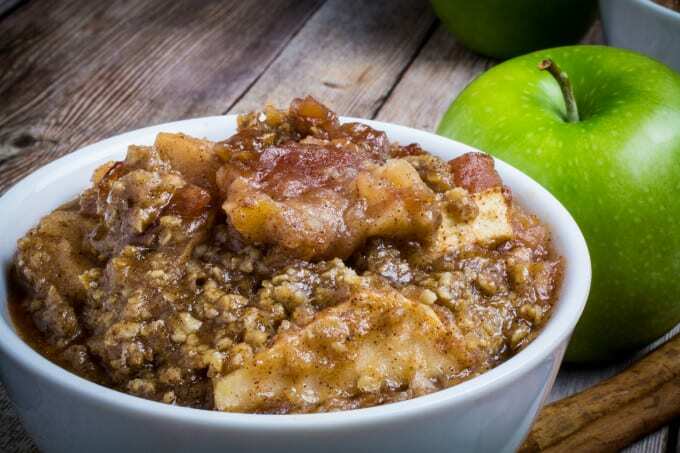 This Slow Cooker Apple Crisp recipe is so incredibly easy to make, you'll never want to make it in the oven again! Place sliced apples in slow cooker. Add lemon juice, cinnamon, white sugar, baking powder, and vanilla extract. Stir until apples are evenly coated. In a mixing bowl, add oats, flour, brown sugar, white sugar, cinnamon, nutmeg, and salt. Stir to combine all ingredients. Cut butter into flour mixture. Using a spoon or your hands, combine flour mixture and butter until it forms a dough. Crumble dough on top of apples evenly. Place lid on slow cooker and set on High for 2 hours OR Low for 4 hours. Open lid part way and cook for about an additional hour to let top get "crispy". Serve warm and top with vanilla ice cream if desired. Crock Pot Chicken Parmesan - Gluten Free! I have never made apple crisp in the slow cooker. 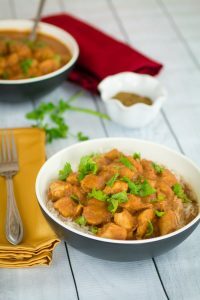 Love this recipe and I will try it soon. I am ashamed to say we have a nice slow cooker and only made meat dishes in it. It’s time to get it out and make some apple crisp. Fortunately one of our stores has Honeycrisp on sale and this would be perfect. You know, I used to only use my slow cooker for dinner recipes, too. Until I discovered the world of slow-cooked desserts! Honeycrisp sounds great in this. 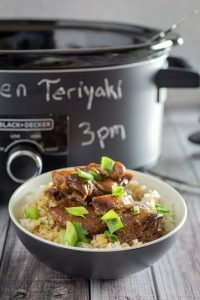 If you have any other slow cooker dinner recipes that you love, feel free to throw them my way, too! I must put my slow cooker to work, I think I found how. thanks for sharing! Thanks! It’s definitely the perfect storm of the autumn-dessert world! This looks insanely good! 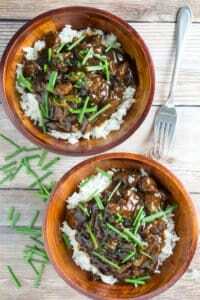 I love that you made it in the slow cooker too – the joys of easy recipes that taste amazing. Love it! Thank you! 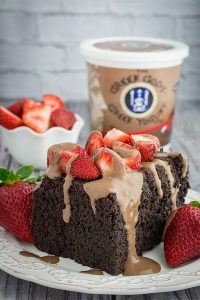 The slow cooker is so great for dessert recipes! love the melted vanilla ice cream on top. That looks seriously amazing! I love that you make it in the slow cooker. My family will love this recipe. Thanks for sharing! Thank you! Let me know how it goes, I love hearing feedback! 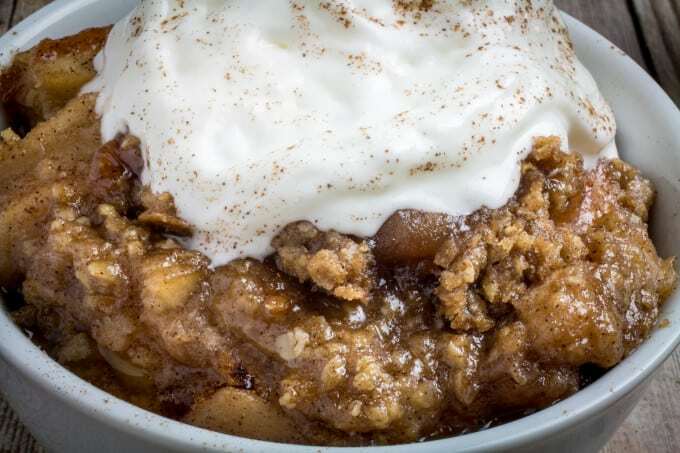 I love apple crisp, this looks delicious, love that it’s made in the slow cooker, I will have to try it soon! Fruit crisps are my favorite desserts in the summer, now I can add one more crisp recipe to my meal plan in the fall! Looks delicious! Love that’s gluten free too! Why are all comments people who haven’t made it yet? Can someone make it and comment instead of saying how great it looks. It’s all up to you, Jazz. I believe in you! Would there be any changes if using regular flour, etc. (not gluten free)? Hi Ellie, There’s not a lot of flour in this so you should be fine just swapping it for regular flour and following the recipe as is. I made this for my family for Thanksgiving dessert (swapping regular flour instead of GF flour), and it was a huge success. Everyone loved it, and it disappeared so quickly I didn’t even get leftovers. It was way easier than making the pie I normally do, so I’m definitely going to make this again. I can smell this by just looking at the photos. I could eat the entire dish for dinner not dessert. I 5 Star You ! I made this for a work policies and it was gone in minutes! I’m going to double the recipe next time, do you think the cooking times will be about the same? I’m making this currently but after I peeled cut and diced the apples as the video showed, it appears that I have WAY too many apples! Not sure if there is such a thing as “small” granny smith apples but I got normal sized apples and I have only put half of the into my crockpot so far and it already looks like more than the vireo showed in that crockpot. I’m wondering if I’ll end up with dry apples and not enough crumbly topping if I continue to add all that the recipe called for. Hmmm….I’ll find out soon enough! Is it possible to bake this instead and for how long? Would this do a 9×13 pan? Am making this for a small group (10 people) , and am carrying it to the hostesses house for serving. So, there is a 15-20 minute travel time, then we will spend time socializing and eating dinner before dessert. Given the interruption in baking time, and the delay for dinner, do you think the slow cooker or the 9×13 oven pan cooking would work better? If the crock pot, do you suggest that I transfer it to their house inbetween the first part of the cooking and then doing the latter part of “crisping” at her house? Or do you think the cool down will interfere with the process? I don’t want to lose the crispiness in the delay while eating dinner. Did you try this, Mary? I’m planning on taking it to a lunch tomorrow and am debating on how to pull it off. I’d love your feedback if you made it “on the go”!. TIA! Mine turned out soupy. Is it supposed to be like that? Hi Michelle, definitely not soupy. It should be more thick like a pie filling. Did you add anything else, or use frozen fruit instead of fresh? Could you use Honey Crisp Apple? Hey there! 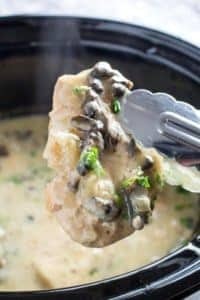 Can you make this in advance in the crockpot but not cook till following day? Or should it be prepped and cooked all same day? Thanks!! Hey Lauren! Yes, you can totally prepare this the day before, just make sure you refrigerate it until you’re ready to cook. I’d recommend using one of the disposable crock pot liners, I just find they’re easier to store. Hope that helps!